Richmond Camera & Security Systems consider intercom systems and emergency telephone systems in Richmond Camera & Security Systemsl part of an overall security package. During our security systems installation all over Staten Island we often install intercom systems with intrusion detection, access control, parking control and CCTV Systems. We can do it all, so you know you can get it all from us. Our experts install residential intercom and door entry systems in Richmond County New York to provide simple communication between rooms and outside entry areas. For small to large homes a system can be designed to meet virtually any communication need. These systems may include a video monitor in the master intercom and are used for office entry in commercial applications. For multi-family or multi-tenant applications, the experts of Richmond Camera & Security Systems install telephone entry systems. These may have a handset or they may be “hands-free”. Visitors contact the desired tenant by entering a simple directory code and the resident/tenant then grants or denies access. When it comes to commercial intercom systems, the options are many. Not all businesses and office buildings in Staten Island are the same, and not all require the same intercom system. 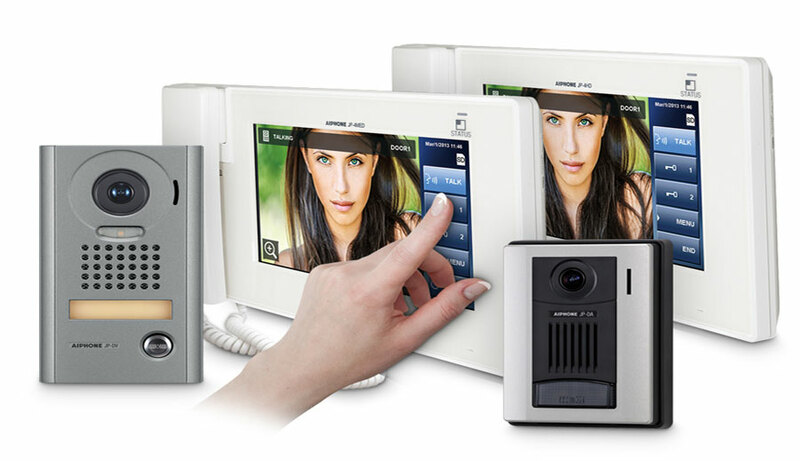 Richmond Camera & Security Systems offer all types of intercom systems to answer all your needs. Our Professional Intercom Installation Services in Staten Island are ideal for businesses and offices. For offices we offer onsite programming for weather protected outdoor and indoor hands-free communication, door intercom and answering systems with connectability to phone lines. For the sizeable office buildings and businesses in Staten Island we offer a diverse array of lobby intercom systems that provide two way communication, as well as full-sized panels for remote control entry and name identification. For office buildings in Staten Island and businesses that require connected phone line or even cell phone connection we offer telephone access systems that connect your intercoms locally or wirelessly. And for business and offices we offer video intercom systems which couple the standard applications of regular intercoms with video surveillance. The intercom system we install in Staten Island usually appear is part of our security system installation. If you would like to learn more, or if you have any questions regarding these products, we welcome you to get in touch with us and one of our experts would be happy to assist you. At Richmond Camera & Security Systems, we guarantee quality and efficiency in our products and repair services. Our dedication to providing assurance is indicative of our claim to excellence, and we will work with you to insure that your experience with our intercom services is unparalleled the same we have been doing for many years during them our company supplied, installed and serviced many intercom systems in Staten Island. We always say and we try to make it simple, if you need intercom repair, or any type of repair, do not wait till it is too late. 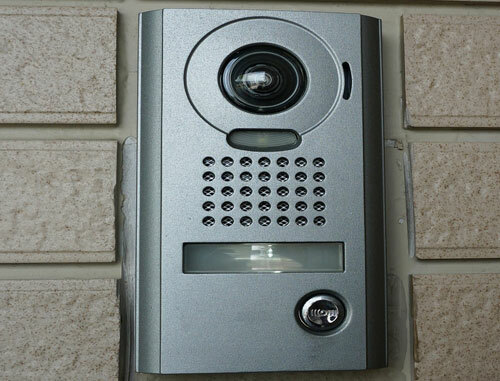 Call Richmond Camera & Security Systems for same day intercom repair in Staten Island. Don’t wait for an emergency to find out that you need intercom repair in Staten Island! For homes where you already have an intercom system, make sure it’s running the way it should. After your intercom installation, make sure to regularly test your system. One of the issues that can appear with your intercom system and prevent it from working properly may be a humming or a loud noise when the talk button is pressed. Richmond Camera & Security Systems offers local intercom repair in Richmond County NY. We will be there for you today. If you are in Staten Island, and you are considering intercom installation, take the time to understand all the benefits and the money options the market has to offer. In today’s world, increasing communication throughout your home or your business using an intercom system is a fantastic investment. 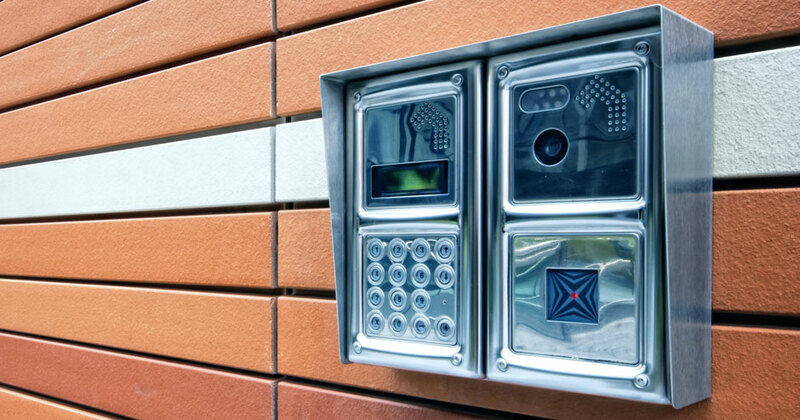 Not only will our top-of-the-line intercom system increase the safety of your home or your business, but intercom installation is now cheaper and easier than ever before! Richmond Camera & Security Systems offer competitive prices as well as high quality components to get you the best intercom as part of the security system. Our technicians in Staten Island offer tech-support for all services and products involved in the installation process. Our proficient staff will troubleshoot any complications that may arise and alleviate any malfunctions that you may have regarding service. Possible malfunctions such as crossed signals that require checking the monitoring functionality and conferencing systems can be easily resolved by our skilled technicians who serviced hundreds of intercoms in Richmond County New York.Possible damage to outdoors systems due to man-made damage or severe weather conditions (As we all know the weather in Staten Island can get rough) can occur and can affect the status of the intercom system, which our staff is ready to replace or repair. Whether your intercom malfunctions is in regards to service repair, single intercom units, troubleshoots, and intercom systems in apartments, homes or businesses, please contact Richmond Camera & Security Systems for intercom repair service in Staten Island. It is our privilege to provide information to insure your home or business is secure and the equipment is functioning responsibly as every business in Staten Island that use intercom system should. All parts of the intercom built-in-system, including the master station are inherently thin, so that they can be situated directly on a wall in holes cut or drilled into the wall space. The master station is designed to fit sufficiently in the space between the wall studs. If a wired setup is preferable, all wiring is effectively hidden by routing it through the wall and along under floor joists. Typical installation requires only a phone wire and dialup or a broadband connection. We offer emergency repair services for all aspects of security systems in Staten Island including repair for intercom systems in Staten Island. What are the security advantages of the intercom system? There many benefits in installing intercom system for a building in Staten Island. Being able to communicate effectively with anyone in the building is important to security. You can use these intercom systems to make announcements and keep areas restricted, and at the same time you will still be able to communicate, particularly in the event of an emergency. Contact Richmond Camera & Security Systems for information and get a new security system/intercom system installed today as we did many times during servicing many businesses and apartment buildings in New York. Do you struggle with communication on your home or business in New York? Intercom systems can be a lifesaver for large businesses and institutions and there aren’t many buildings in Staten Island that don’t have one installed. Intercoms can also allow an individual to communicate with other people in the building, in specified locations or across the full building. This can be especially useful in emergencies. In addition, schools often use intercom systems to make school wide announcements. And for other functions that can be modified to serve ones needs. The intercom systems that can be found in Staten Island are being used for communication between the doors and one or more other locations, meaning you don’t have to be at the door to communicate with visitors. A common example of this is at the entry way of apartment buildings. The intercom system allow the visitor to contact one of the apartments in the building without entering the building. Sound obvious right? There are more options and functions that can be used through intercom systems, we can find the right and the best solution for your needs in Staten Island. All you need to do is to get in touch with Richmond Camera & Security Systems, and one of our experts in Staten Island will be happy to assist. Which one is the right intercom system for me? There are so many intercom systems installed in Staten Island, that there is not one general and correct answer to the question. What we can say is that Richmond Camera & Security Systems have the experience to service any intercom system in Staten Island. From residential intercom system in Staten Island, to commercial and office buildings, we are here for you. Give us a call and we can walk you through the system that suits you. Factors like the size of your property, the number of people on the premises at any given time, and security concerns all play a role here. There are many valuable to consider when coming to make the right decision which intercom system to install. Intercom systems work by linking various places in your home or business to each other via voice communication. By placing speakers in strategic locations, you can make sure you’re always in communication with anybody else on the property (Or some of them, in more complicated intercoms). Intercoms can keep restricted areas of a building restricted to those who should have access. An intercom at locked doors will allow visitors to call to the designated area, where they will either be granted or denied entrance. So for increased security and communication, you can’t go wrong with intercom systems. Richmond Camera & Security Systems has installed intercom systems of many types all over Staten Island and ready for the next task. Call us and allow us to share our knowledge we gathered over the years with you. 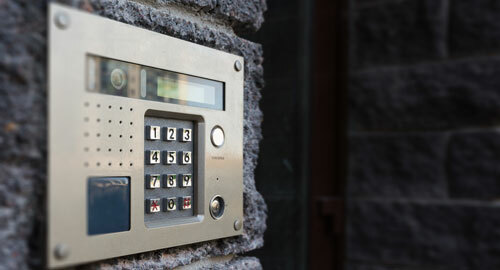 It can be a new intercom system in Staten Island, or new access control system, we are here for you. With so many years of intercom installation in Staten Island, we are ready for any task, small or big. Our experts can get you the right system for you, and will get you the best security solution so you will know you made the right decision when you chose to work with Richmond Camera & Security Systems. We have installed many security systems in Staten Island, and we have never without making sure our client got exactly what he paid for. Richmond Camera & Security Systems can repair any type od security camera in Staten Island today! A properly installed Security System – As all the systems installed by Richmond Camera & Security Systems in Staten Island are - will help protect your assets from theft, vandalism and save you money on your insurance policies. Security Systems act as a deterrent to potential thieves, and make sure the proper authorities are notified to help minimize any loss due to burglary. Every security system installed by Richmond Camera & Security Systems has the capability to detect unauthorized motion, glass breakage and the opening of all points of entry. Each security system also supports several methods of panic or duress notification. It is our goal to make sure you have the tools and information needed to decide on the best security solution for you. Same Day repairs Richmond County New York!